Alisah Bonaobra performs her version of Jennifer Lopez’s hit song “Let’s Get Loud” on The X Factor UK “Viva Latino” Live Shows on Sunday, November 5, 2017. 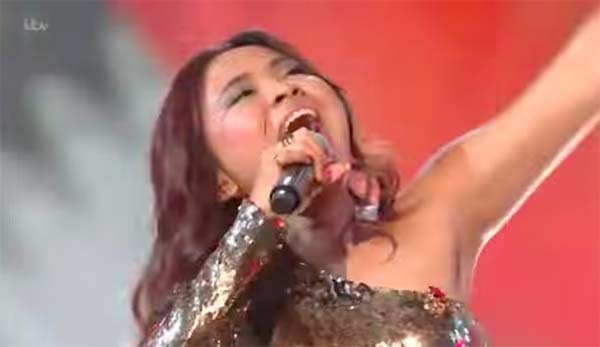 Alisah Bonaobra from the Philippines, enters the X Factor UK Live Shows as wildcard pick. She dodge the first elimination last week. Tonight, she is safe from the elimination and moving to the next round of the competition.